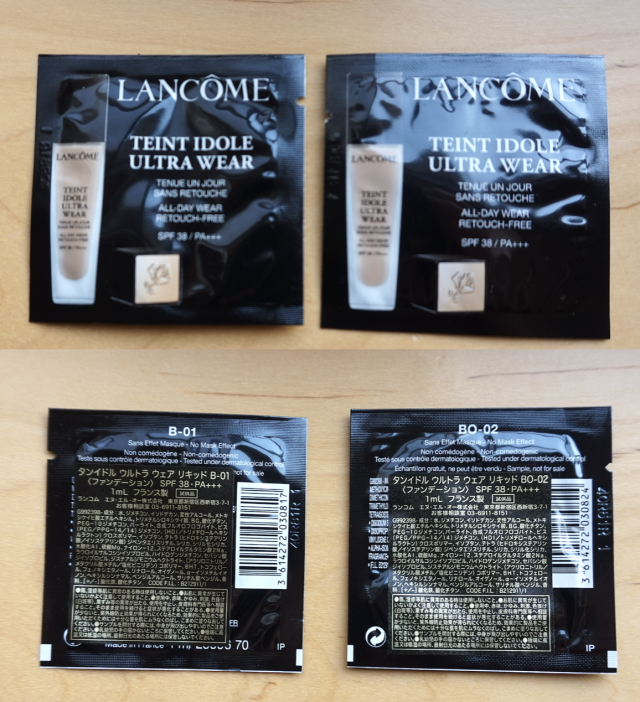 I got samples of Lancome Tient Ideol Ultra Wear Foundation. I am not quite sure about other area, this what we can deal are things sold in Japan, and they are made in France. The shades are #B-01 and #BO-02. I tell you about the tone/ shade swatches later. The texture is runny and also light on my face. It is neither sticky nor oily, also not let my skin dry. The coverage is full. The finish is matte. If you want let this foundation more glow, guess it will be not bad idea to choose radiant foundation primers, or glowing loose powders. I was satisfied with the full coverage but this light texture. The lasting is more than enough. I walked for 2 hours, no sweat, and I found there are no makeup running :). At first, you may find the reason why people buy this “Tone Up Milk Pearly White”, it is also the very what I do not welcomed for my personal using. It made me too pale, I want primers and foundations to let me look healthy. Anyway, the shade of #B-01, it may mean Beige – 01, and #BO-02 may mean Beige Ochre – 02. 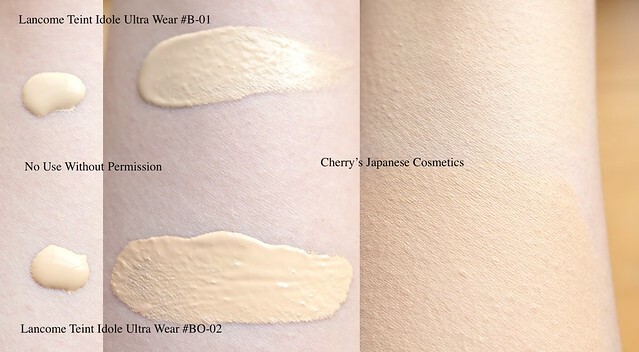 #BO-02 (the standard shade for Japanese) is near to my personal shade. 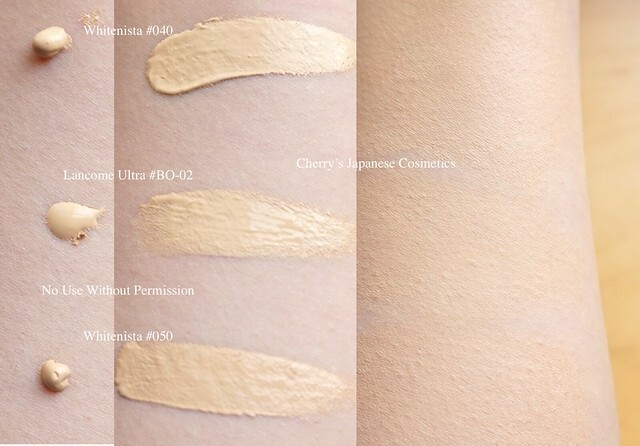 Still there is a Whitenista Foundation sample, let me swatch. I chose #BO-02 to Whitenista two standard shades, #040 and #050. In my eyes, Albion #040 is quite similar to Lancome #BO-02. The textures are different each, this Lancome is more runny and light.